It's Girl Scout Cookie season, and our nation's best and brightest young ladies are out and about selling their baked goods to any American looking to get a merit badge in shamelessly housing a whole box of Thin Mints (or who just bought a truckload of keef). It's also the time of year when grown-ups get into heated debates about which cookie is the best. Well, we're adults here, too. And with new flavors vying with the old, we decided to obey the oath and make the world a better place... by ranking them all. There is but a single sleeve of these when you open up the super-thin box. It's like the Girl Scouts are saying, "We know you're not going to like these, or else we would've packed two sleeves in there." They taste like a mouthful of (gluten-free) sand that someone accidentally dropped a few toffee chunks into. You know what would be amazing? If the Girl Scouts also sold actual lemonade, which people could use to wash the flavor of these citrus-spiked shortbread cookies out of their mouths. Or at least quench their thirst, because despite being strange-tasting, they're still kind of impossible to stop eating. Oh, hey! A "healthy" GSC. You can tell by the fact that it has cranberries, plus an image of wheat stamped into the top of it. And also by the fact that it's not very good. Initially, Do-si-dos taste a lot like the Lance Toast Chee peanut butter sandwich crackers that were popular in my middle school. The aftertaste is a lot like those Toast Chee crackers too. They're lucky I don't mind a Toast Chee every now and then. But seriously, did a Girl Scout accidentally pack Lance ToastChee crackers into my Girl Scout Cookie box? No. No, she did not, because Girl Scouts do not work the assembly line at a cookie factory. This is just what Do-si-dos tastes like. This is a cookie that doesn't taste like a snack-based dessert. And in that case, why are they making these? They're like crunchier versions of the oatmeal cookies grandma used to make, provided your grandma was kind of a jerk and sometimes tried to sneak little chunks of yogurt into your cookies hoping you'd mistake them for butterscotch or something. If that was your grandma, well friend, you're in luck! If it wasn't, well, this yogurt thing makes no sense. For the little scout with celiac disease, the chocolate chip/oatmeal hybrid offers up a treat that tastes a bit like a granola bar and provides a nice alternative to dying because she ate a sleeve of Thin Mints. But now she also has to contend with the other scouts who claim they're on a gluten-free diet just because they think it's healthy. So... call it a wash? When else does anyone eat shortbread? When it's Girl Scout Cookie season, and no other time. 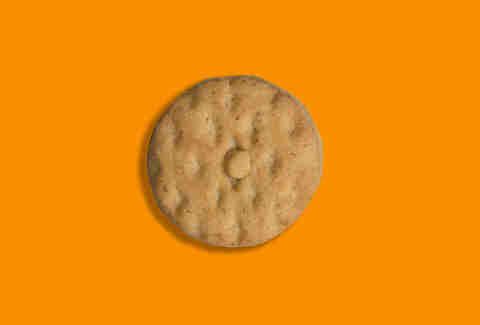 Let us take a moment to exalt the mere existence of this shortbread cookie, the snack-food version of the Yeti. Like the Yeti, shortbread is even better when you put a bunch of chocolate on its back. This is obviously the pseudonym Carrie Underwood checks into luxury hotels with. They're described as "crisp, zesty lemon wedge cookies dusted with powdered sugar," and they deliver on that promise. The sugar cools off the surging, unavoidable lemon flavors from what appears to be half a cookie. A deceptive amount of flavor is packed into such a small wedge. I, too, am surprised Savannah Smiles are #4, but that's why we do these rankings. I hated anything with coconut in it as a kid -- it was like math homework for my taste buds. Now I eat foods prepared with coconut oil and drink coconut water like I live in Thailand and it's cheap (sadly, I do not live in Bangkok, and it is not cheap). But I always loved Samoas. They were the exception to my coconut-free childhood. 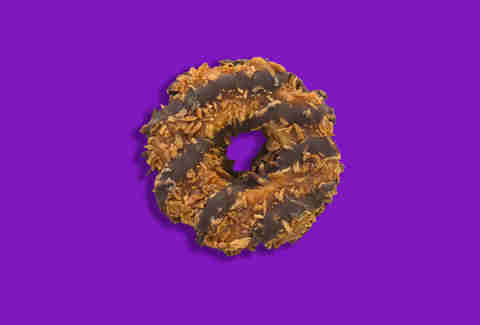 In adulthood, my love of Samoas has only grown, as they combine dark chocolate, toasted coconut, and a cookie with a hole in it. For some reason, the hole adds to the exotic quality of the cookie. 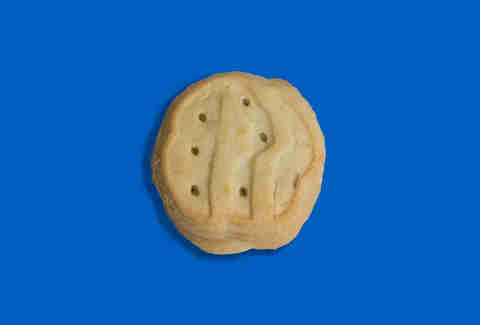 It's no bigger than my palm, and yet the Girl Scouts stiff me on the middle of a cookie?! It makes me love the cookie even more. And it's an actual cookie. So... in your face, Thin Mints. 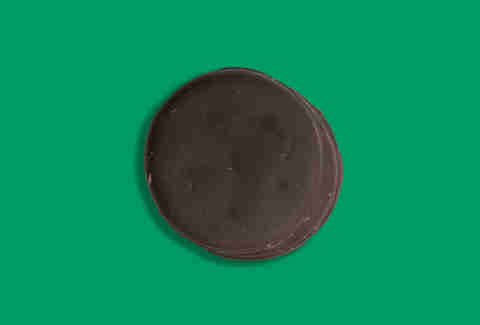 The Tagalong is not just the best Girl Scout Cookie, it might be the best cookie ever made. 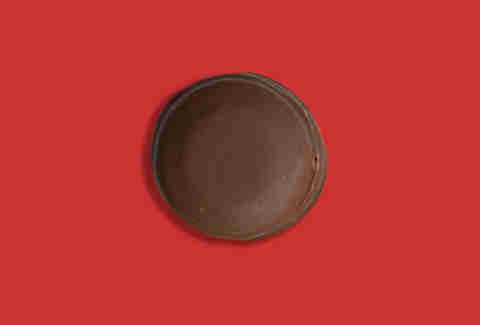 Think about what goes into a Tagalong: you've got a crispy cookie layer, a fluffy cookie layer, a peanut butter layer, and then all of that is covered in chocolate. It's basically a Reese's with better mouthfeel -- and you get 15 of them in one pack! Speaking of which, if Reese's wants to come out with a 15-pack, I would welcome that with flabby, open arms. The Tagalong is a multitude of flavors and textures that combine to form something truly greater than the sum of its parts. You can have your Thin Mints and your Samoas and your Trefoils -- I won't blame you, they're all delicious. 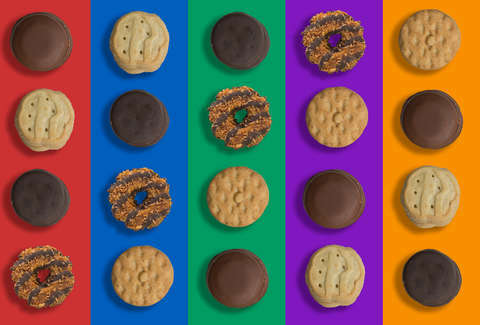 But the Tagalong is the greatest Girl Scout Cookie of all time (shoutout to Kanye), and it will continue to be until chocolate and peanut butter stop being the best flavor combination of all time. Lee Breslouer is a senior writer for Thrillist, and has a lot of Girl Scout Cookies in his pantry now. Follow him to sugar highs: @LeeBreslouer.